"I think if you are producing music it is a good thing to do, just to keep reminding you of the effect music can have. Hearing it loud and seeing people react to it in a very instant physical way, is another side of music other than just listening to it at home." 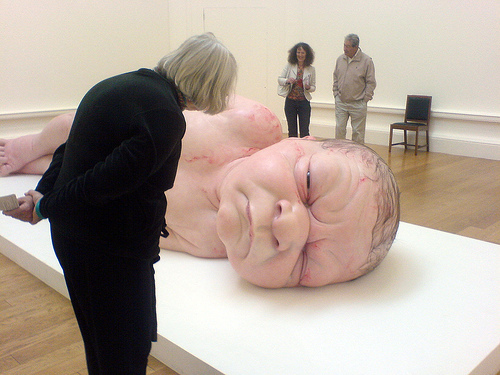 Ron Mueck is an Australian born artist who currently works in the United Kingdom. He is known for his hyperrealistic sculptures that have been displayed at exhibitions around the world since 2009. Hyperrealism is an art style that originated in the early 2000s and basically depicts real life in an unusual way. Ron started off using fiberglass and has since switched to silicone to produce thought provoking life-like characters. One of his more well known pieces, Dead Dad, is a sculpture of his father in honor of his death. I find his work fascinating because his sculptures are so unique in their detail and unnatural size. I think it is fun to figure out what Mueck is trying to convey with each different piece he creates, using the interesting posture and facial expressions he gives his sculptures. This shows a progression in how Mueck represents reality in his own way. It also gives insight on how he has grown as an artist, starting with puppets (human-like characters), making them do what he wants, and now sculpting human-like figures into the positions he wants. This site briefly describes why the artist has chosen to create this type of art. "Photography destroys the physical presence of the original object." Meaning that you no longer need the original if you have a copy. I take this to mean that; he sculpts instead to bring attention to emotions of his characters and highlight aspects of the body that may otherwise be overlooked. 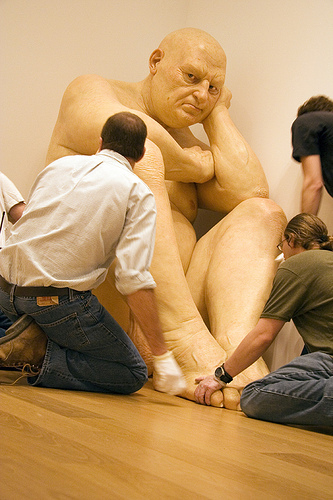 Mueck explains and explores a favorite piece of mine, Big Man, in an interview. He used a model that at first tried classic model poses, and finally curled up in the corner of the room in frustration, creating the final pose used for the sculpture. Mueck creates believable ordinary poses and then enlarges or shrinks the figure from life size to bring more attention to his work. I couldn't put the books down. The way Larsson writes is unlike any other author I have ever read. His development of the characters and stories makes reading so much more interesting and creates vivid pictures and scenes in your imagination. The characters are unlike any you have met before and the mysterious crime series never fails to keep you guessing and surprised. For me, I didn't want this series to end and hope that everyone has the chance to pick up the first book and dive into the dark and ominous lives of Mikael Blomkvist and Lisbeth Salander. Stieg Larsson has truly created books that took years of research and experience and along with the mysteries and interlocking stories you will also learn more about the Swedish background. 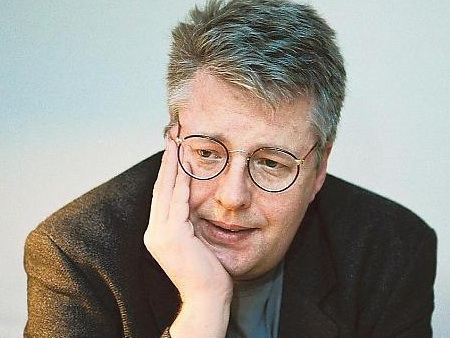 This is a website that gives a brief background on the life of Stieg Larsson and showcases some of the major events in his life, especially near the end. It also is a great site for every Millenium Trilogy fan because it is constantly updated with new news on the controversy on who gets the rights to the fourth book (its between his life partner and his father) and any other related articles. It also gives frequent information and fans responses to the recent movies being made out of the Lisbeth Salander stories. This is a very comprehensive site that allows you to get the background of every book and even learn about all of the characters so you can either review what you have read or know what you are getting into. It also outlines the Swedish film and the American film to help you compare which might be better and what actors are in each. Lastly, it gives a background on Stieg Larsson and the struggles he faced in getting these books published. This is also another site that gives great background into each of the books and into the life of Stieg Larsson. But on top of that it also provides clips from the recent American film and insights into what will come with the next films. 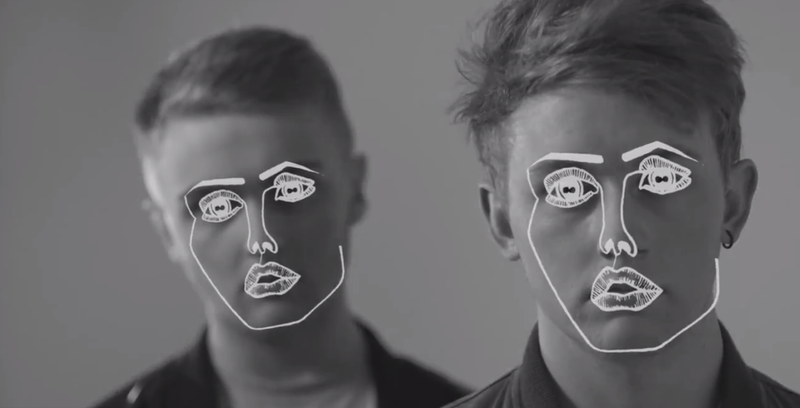 Disclosure is a UK-based duo comprised of brothers Howard and Guy Lawrence. The brothers are notoriously young, having started their musical careers in 2010 at ages 15 and 18 respectively. Their music is described as the amalgamate of UK garage, Detroit house, and 90's hip-hop music. The result: soulful R&B dance tracks and head-nodders with fluid bass lines, warm, buzzing chords, rhythmically clipped vocals, and minimal driving patterns in the snare similar to those used by J Dilla. I find their music incredibly interesting because the duo's youth causes them to demonstrate a mastery of their musical influence from the original scenes that inspire their sound, while the two have admitted that they are just getting into the older sounds. I look forward to when they have fully broadened their knowledge of their influences so they can create music that is even more true to their sound. The tracks they have put out show us that they create music with the dancefloor in mind, but also riding the fence, as their tracks work incredibly well in my earphone-oriented everyday listening. They are very up-and-coming and show incredible promise, working with some very talented vocalists, such as Jessie Ware, as well as collaborations with impressive names, like SBTRKT. 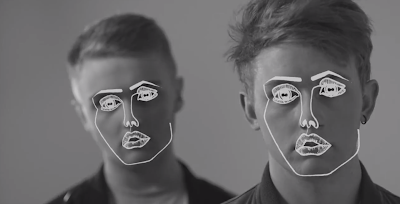 Their collaboration with Jessie Ware can be seen in the video above (turn down the embedded player's volume halfway to get get the best quality of sound). This is a review of their forthcoming EP, The Face, which came out this June. The review is by online music magazine, XLR8R. The review outlines their sound and describes the tracks of the EP very well. This is Disclosure's soundcloud where you can listen to most of the songs off their new EP, as well as some of their original tracks. This is an interview-article about the duo, describing how the two brothers got their start as producers. They talk about how their first track was made in the back of Guy's car when they were in school together. Even though they just made it 'for laughs' the track garnered a lot of attention in the music blogosphere. Many turn to music as a way to express emotions, as well as something to turn to in times of stress of hardships. For an artist, creating music that successfully resonates with the listeners can be challenging – they want a positive response to their music, as well as something that pushes them to publish more songs. Something else that helps an artist’s popularity can be the uniqueness of them; someone who sounds the same to many other artists may not gain as much of an audience because they are lacking something that sets them apart. A hip-hop artist who does an astounding job of this is Macklemore. He is a rapper from Seattle, but takes his rapping to a new level. He raps about subject matter that has never been touched on before in rapping; these include equality for homosexuals, personal drug stories, and controversial political material. The honesty and courage he exhibits through the lyrics in his songs is moving. He focuses on topics that many other current rappers either avoid or belittle. Listening to the way he raps makes him so respectable, and he has created a new turn for modern rapping in the fact that he raps about real life issues, problems that many listeners can relate to and appreciate, which has helped to make him as successful as he is. Macklemore and his producer Ryan Lewis have been producing amazing music for years, and his popularity is continuously growing. What makes him so different is that he raps about real issues, real problems, and real experiences. He understands that what he puts in his songs can influence people, and has seen truly awful things happen because of the effect from what artists put in their songs, and he wants to change that and make a positive difference in the world. He genuinely appreciates each and every one of his fans, and it is very apparent that he puts his heart and soul into every song he writes. This is Macklemore’s personal blog, where he posts pictures of his daily life, interesting news, tour dates, and music links. It’s a great page to use to follow him, and stay current on what he is working on. Through this page there is also access to the merchandise store, and other media and information about his crew. This is an extremely powerful song, called “Same Love,” is the most recent song Macklemore announced and published. It tells the story of some of his personal experiences and feelings regarding homosexual relationships and marriages. In the lyrics, he mentions how he is frustrated with many current rappers using derogatory terms to talk about homosexuals, and that it is important for it to be more widely accepted. “Otherside” is another inspiring song from Macklemore. This is the A Cappella version, which helps bring out the honestly and realness of this song. In it, he talks about how the media and singers/rappers can have such an impact on whoever listens or views what they publish. He talks about personal experiences with drugs, explaining how such a dependency on them can negatively impact the user’s life. It’s a moving song that stresses the importance of negative influences from both the media and drugs.